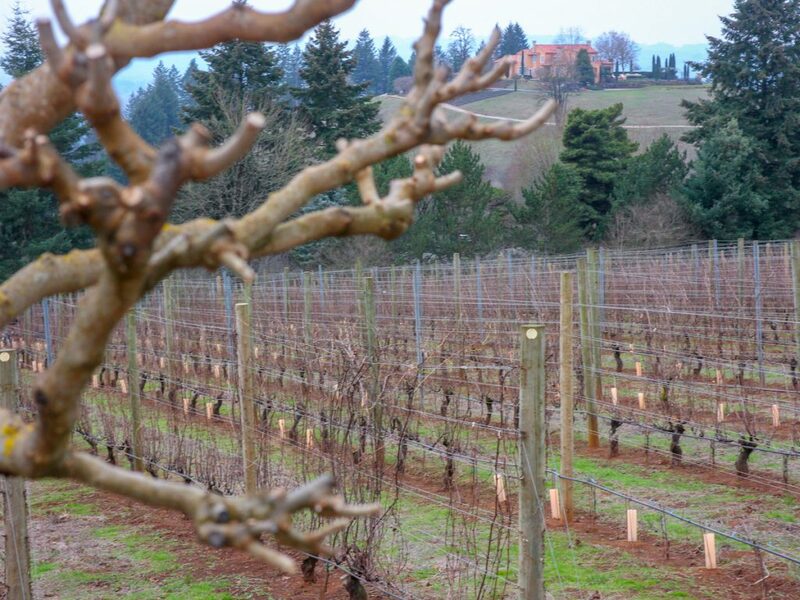 Willamette Valley, Oregon – Your Next Wine Destination. 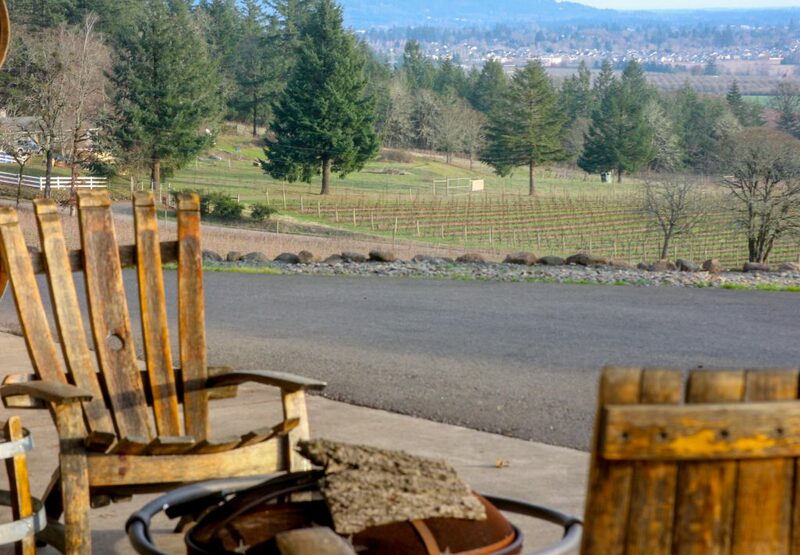 Five hidden-gem boutique wineries to visit in the Willamette Valley. 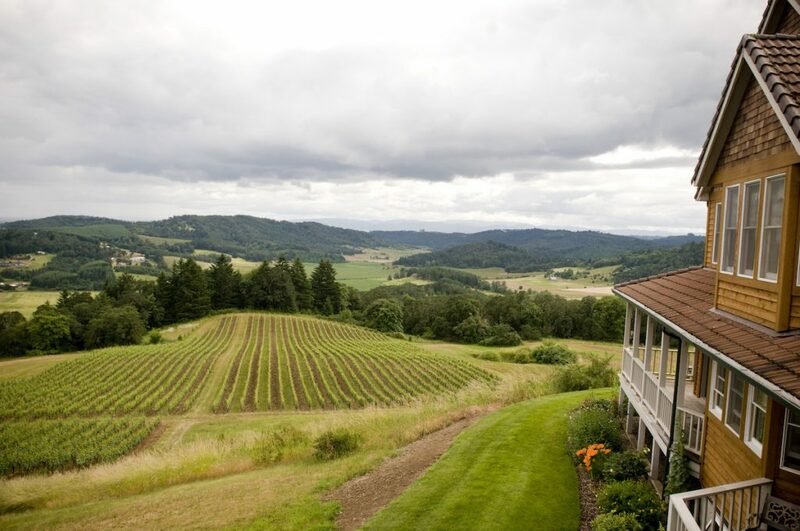 Unlike much-visited Chianti, Bordeaux, or Napa, the Willamette Valley is yet to be discovered by wine tourists. Odd, since this upcoming region has everything one could look for on vacation: beautiful views, quality wines, and fascinating, welcoming people. Within this charming region of 530 wineries, the vast majority are family owned and small-scale, producing less than 5,000 cases a year. 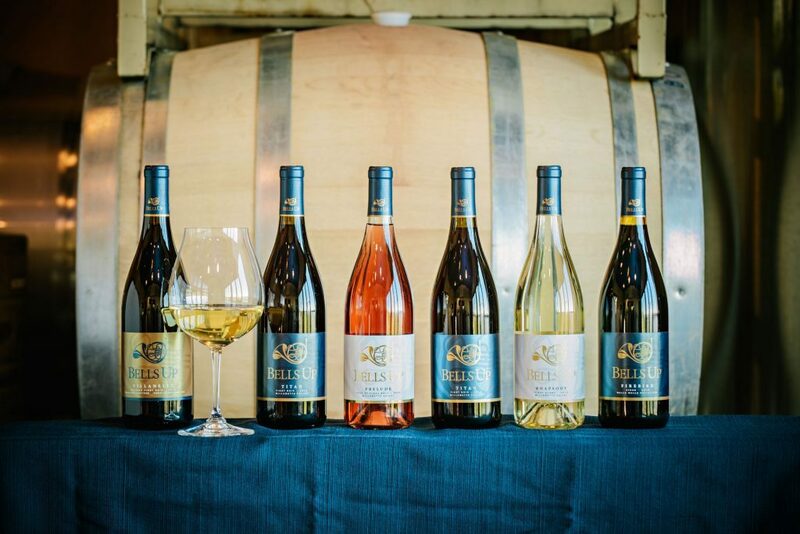 In fact, 70% of the wineries in all of Oregon produce fewer than 5,000 cases per year. 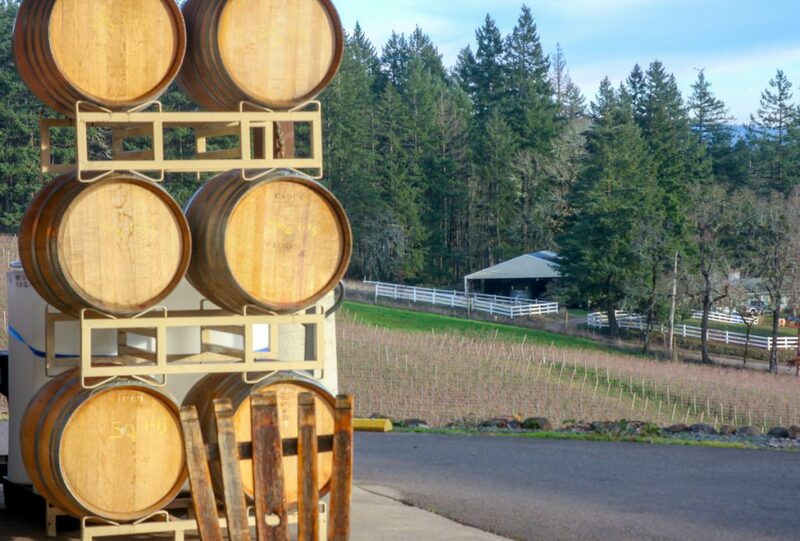 The vast majority of Oregon’s wineries are not part of big corporations, where the owner is absent or might live in another area; the winemakers of the Willamette Valley live on the properties, work at the winery, and the chances are, they will be tasting their wines along with you. 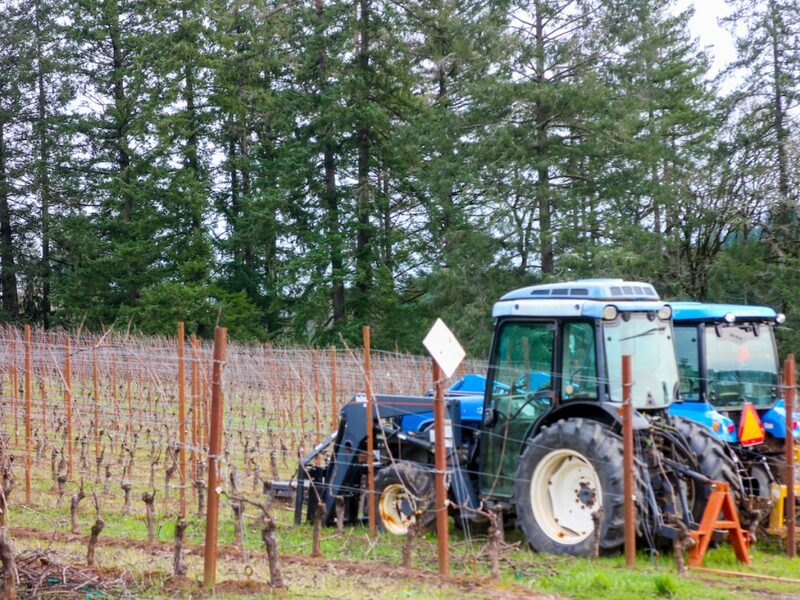 The Willamette Valley, which lies between Oregon’s Cascade Mountains and the Coastal Range, started in 1965 when David Lett and his wife Dianna planted Pinot Noir vines and other cool climate varieties. For such a young wine industry they’ve come a long way with the quality and sense of identity of their wines. Due to their fierce sense of community, they achieved in 50 years what other regions took 250 years to do. They believe deeply about keeping the quality high, so that everyone benefits; in other words, your success is my success. At the heart of the unique Willamette Valley experience, is exploring the region, and talking directly with the winemakers who live and breathe this terroir. Of all the wineries I visited in the valley, I was most intrigued by the following wineries, and the people behind them. They not only taught me about wine and farming, but about life as well. 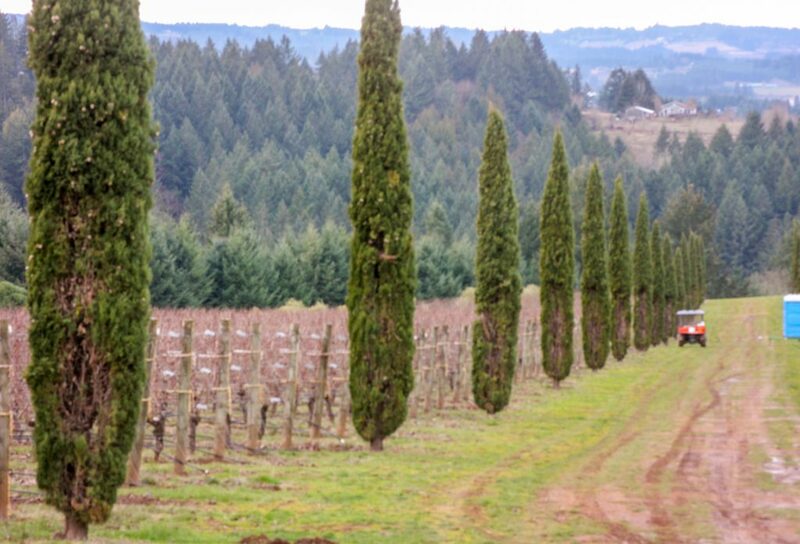 A beautiful estate in the peaceful foothills of the Chehalem Mountain AVA. It was founded in 1999 by Boyd and Cassandra Teegarden and named after their daughter Natalie, who was one year old at the time. Walking with Mr. Teegarden through their vineyards, I could feel his deep connection to this place. Where many other winemakers talk only about their grapes and wines, Mr. Teegarden talked about their walnut and oak trees, and the bluebirds who visit the vineyards; his view is that quality wines can’t exist without a true connection with the land, animals, and nature as whole. Natalie’s Estate’s uniqueness is its old-school approach to winemaking. For example, by employing an old fashioned method of blending wines called field blending, where, at the time of harvest, the grapes of the different Pinot Noir clones are combined right there in the vineyard, followed by fermenting and aging together. In contrast, the more common way of blending, is to harvest, ferment, and age each clone separately, combining them only afterwards in the barrel. Field blending creates very harmonious blended wines. Natalie’s Estate’s Pinot Noirs are unfiltered and un-fined. Fining is the process of adding protein – often gelatin or egg whites – to the wine. The proteins bind with any unwanted lees or particles, and falls to the bottom of the barrel, leaving the wine crystal clear. Mr. Teegarden quotes a saying that is common among traditional French winemakers; “Filtering strips the soul from the wine.” Non-filtering and non-fining results in Natalie’s Pinot Noirs being somewhat hazy in the glass, beautifully authentic and old-school in feeling, with an almost rustic, natural, yet refined, texture. Try their 2016 Estate Pinot Noir and 2012 Estate Pinot Noir. The expression, bells up, comes from that most dramatic moment in classic music, when the entire horn section is given center stage. They lift their instruments high – with bells up – and are the only ones who play. Dave, a former French horn player, is definitely bells up, but this time it’s not his horn but his wines, and indeed they shine! Harmony is achieved not only in their wines – the flavours and textures – but also in the relationships between members of the Specter family, especially Dave and Sara. Visiting there, it’s easy to see how much they balance and support each other. Try their 2016 Candide, Nemarrniki Vineyard Reserve Pinot Noir, Chehalem Mountains. Searching for a property, Steve and Karen Lutz chose a site with the poorest soil they had seen in Yamhill County, Oregon. Talking to Mr. Lutz about their vineyard’s soil he said, “The soil is mostly peavine, which is tough to get anything grow in.” But, the old adage, without struggle there is no strength, is not only true for people, but grape vines as well. And over time, that struggle makes for stronger vines, with deeper roots, that produce smaller berries with more concentrated juice. Yet, every struggle comes with a price; 35% of their young, newly planted vines died in the first year. However, now that the vines are established and more mature, the same poor soil that posed such a challenge at the beginning, causes the vines to yield exceptionally small grape clusters, which in turn, produce high quality, and extremely focused wines with unique mocha, cola-chocolate, and cherry aromatics. Steve and Karen are so confident about their methods, that a few times a year they invite people to blind taste their wines against Burgundies of the same price-point; an idea Steve adopted from working at Mondavi Winery in Napa. Steve Lutz recommends letting his wines age for at least five years from vintage year, and preferably ten. He believes, “Tasting Pinot Noir after two years is like talking to a toddler. 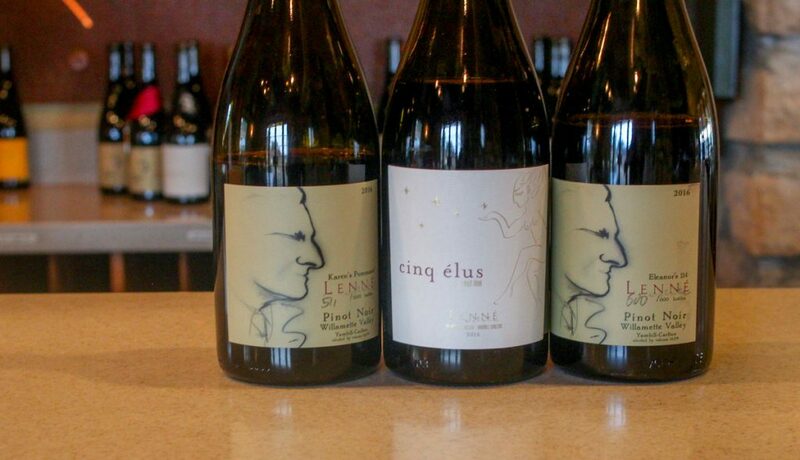 When it’s five years old, it’s a teenager – it has more complexity and layers – aging is critical to Pinot Noir.” Try their 2016 Lenné Eleanor’s 114 Pinot Noir, 2016 Karen’s Pommard Pinot Noir, and 2016 Cinq Élus Pinot Noir. 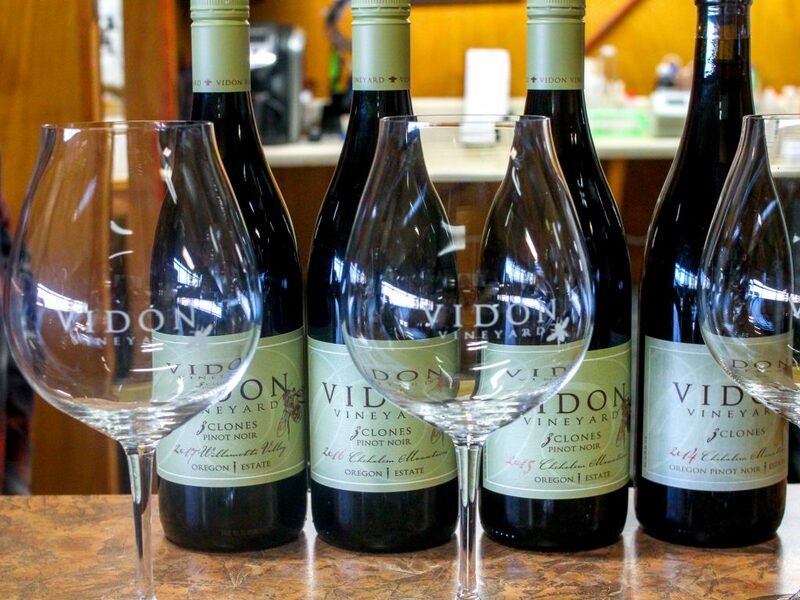 Vidon Vineyard is a boutique winery in the Chehalem Mountains AVA of Newberg, Oregon. The owners are Vicki Lewis and Donald E. Hagge; hence the name, a mashup of Vi and Don. A former NASA scientist with the Apollo Space program, Don is an interesting character; their tagline reads, Intentionally Unconventional since 1999. This unconventionality is evident in the winemaking machinery, much of it built by Don and his winemaker David Bellows – the homemade bottling table for example – but it’s also evident in the varieties they plant: Viognier, Syrah and Tempranillo, grapes that are not typical of the region. 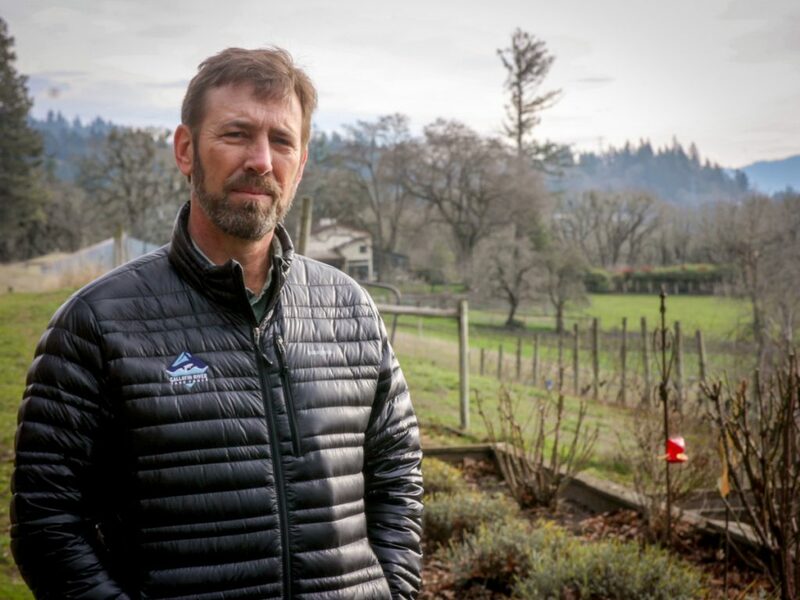 Contrary to more conventional local wisdom, winemaker David Bellows maintains the Willamette Valley terroir has more similarities to the Northern Rhône Valley than with Burgundy, and is therefore a good fit for the Rhône grapes: Syrah and Viognier. Admittedly, the Tempranillo is more of an experiment to see how it will express in Oregon. No wonder these unconventional grapes are part of their Space Exploration Series. Try their 2015 Explorer Tempranillo Estate, 2015 Saturn Syrah Estate and 2014, 3 Clones Pinot Noir. Youngberg Hill’s different vineyard blocks are named after each of their daughters: Natasha, Jordan, Aspen, their family name, Bailey. They own the most beautiful Inn at the center of their vineyards. Staying a few nights there, I discovered there is nothing more calming than waking up with the sunrise climbing over their vines. If you go and stay a while, you will most certainly have an opportunity to meet the owner, Wayne Bailey. 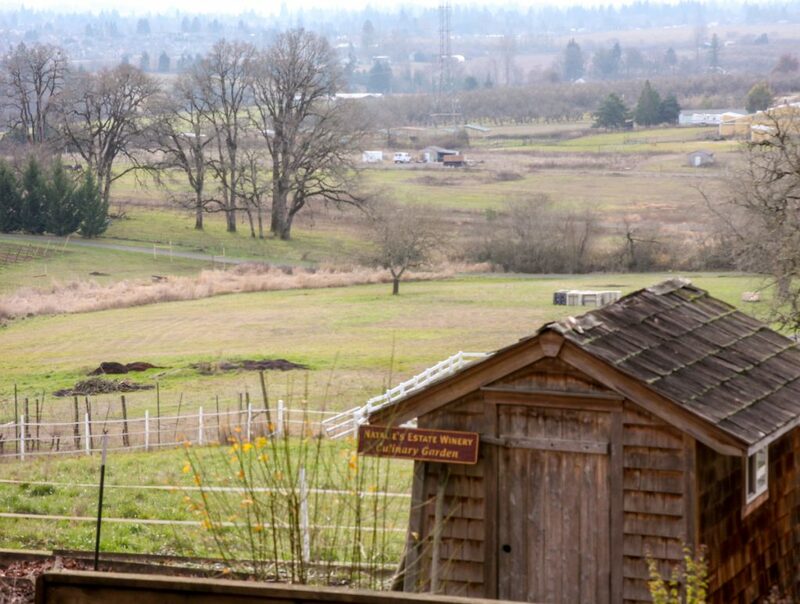 When the hustle and bustle of day to day life becomes too much, it’s time to travel to the peaceful Willamette Valley. There, time will not only slow down, you’ll get to relax with nature and taste spectacular wines, but also have inspiring conversations with talented winemakers who will enrich your palate, knowledge, and life. 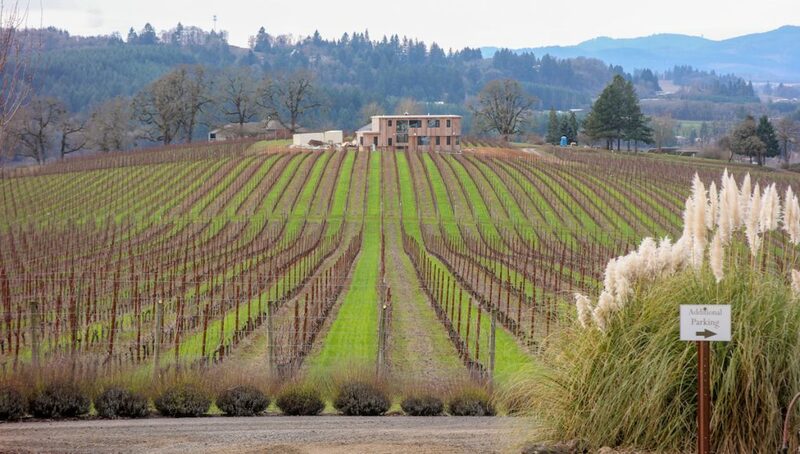 There are many more wineries I’d recommend visiting in Oregon, such as: JL Kiff Winery, Alloro vineyards, White Rose, Maysara winery, Dion, Hamcher Wines, SchöneTal Cellars, and the Carlton Winemakers’ Studio. As co-owner of Chef & Somm, the GTA’s only Bespoke Private Dining and Sommelier service, Rebecca has acquired over a decade of experience in some of Canada’s – and the world’s – top dining rooms. She earned her hospitality, service and sommelier skills at top restaurants – Canoe, Luma, BLÜ Ristorante and Maple Leafs Sport & Entertainment – but Rebecca is always learning, tasting, and cultivating relationships with winemakers, local and abroad. Her thirst for wine knowledge is a never-ending quest; Rebecca brings an unquenchable curiosity and authority to any dining experience.